As a PRO or PRO+ user, your account enables you to have use of the Gas Checker app and your online cloud. It is important to sync the data you generate on the app, to your online cloud, as you will have an online back-up of all customers, reports and invoices. In addition, annual service reminders and invoice payment reminders are activated once forms are synced. You access your online cloud by going to gaschecker.co.uk and logging in. Once you’re logged in, you can see all data you have synced over. 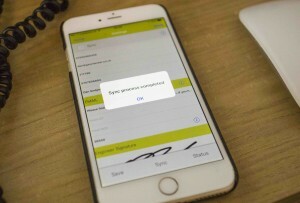 To sync your files, simply go to the Gas Checker settings in the app, and you can set up an auto-sync, so you assign a time each day for the app to automatically sync your data to the online cloud. We recommend this to be in the evening (10pm/11pm), so it does not hamper with the use of your device. If you ever needed to sync at any other time in the day, you will see a sync button at the bottom of the settings page, so this gives you the ability to sync your data whenever you need to as well as the auto sync. PRO and PRO+ users on both Android and iOS devices enjoy a dedicated backup service. Each time you open Gas Checker the app will send a memory dump of all your files to our secure server, where we store 7 days worth of backups. This process happens in the background and means that if ever you lose or break your device…or even want to move files from an old device to a new device this can be done in seconds. We recommend you enable iCloud backup on all devices using Gas Checker, iCloud enables constant backup of your device, god forbid your device is lost stolen or damaged, you can always restore your device which means all your Gas Checker files will never be lost. You can configure iCloud in your device settings and be sure to tick the documents and button to include your Gas Checker files. You can also backup your device to iTunes by plugging your device into iTunes and clicking backup. Android devices are slightly different, to backup your Android device, go to the main Gas Checker menu and in the top right corner you will see a backup button, pressing this will create a database dump file which can be emailed to any other android device, you can restore the file by accessing your new device and clicking the backup button and clicking restore, it will then allow you to select the file you saved and then automatically restore all files to your new device.